Our Staff Winnipeg | Hawthorne Woodworks Ltd.
We are very proud of our 4th generation family business. Seventy years after Hawthorne Woodworks was established, we still have six family members working in the front office. What does this mean for you? One of the original owners of Hawthorne Woodworks, Wally Dyck believed that business must be conducted with honesty and integrity, and those values are still the foundation of our business. We know that your new kitchen will host many family gatherings, dinners, and birthday parties and it will be the heart of your home. Why not trust your new kitchen to one of the longest running cabinet makers in Manitoba? We treat your kitchen renovation like it’s our own. Your family deserves a beautiful kitchen! Ron grew up in the North Kildonan area and his grandfather and father established Hawthorne Kitchens in 1946. Ron received his business diploma from Red River College, then decided to join his father at Hawthorne Kitchens. 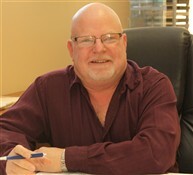 Ron is one of the most experienced kitchen cabinet owners in the industry. He learned early on in life that the only way to do great business is to build a product that is unmatched in quality, and to treat customers with honesty and integrity. Irene has been married to Ron since 1975 and decided to join the Hawthorne family business shortly after that. Irene was born in Germany and moved to Canada in her teenage years. Irene is one of the most experienced kitchen designers in Manitoba, and she will work on a kitchen design until it meets her high standards of great functionality and a beautiful design. Chris is proud to be a fourth generation family member working at Hawthorne Kitchens. He attended UBC and played basketball for the Thunderbirds while receiving his Business degree from the Sauder School of Business. He also represented Canada at the World University Games in Belgrade, Serbia in men’s basketball. Chris joined Hawthorne in January 2010 and has been the driving force behind researching and implementing the latest products and design features available on the market. Relationships are important to Chris and his clients can be assured that they will benefit from both his knowledge and customer service. Nicole joined Hawthorne Kitchens in 2011 in the area of business development and sales. Nicole is married to Chris and has added a great new dynamic to the office. Her unique blend of business knowledge and taste for design makes her a great addition to our company. Nicole graduated with a Bachelor of Commerce Degree from the Asper School of Business in 2011. Mike was born and raised in Leamington, Ontario and he received his interior design diploma from the Ontario Business College. 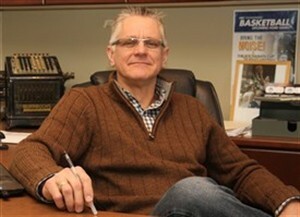 He has worked for various large kitchen manufacturing shops in Ontario and has been working in the cabinet industry for over 30 years. He decided to move to Winnipeg in 1998 and that is when he joined the Hawthorne family. Mike’s friendly nature and his ability to effectively manage our production schedule makes him an integral part of our company. 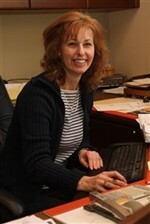 Kathy is Hawthorne’s account manager and is a sister to Irene and sister-in law to Ron Dyck. This family connection gives us a bookkeeper that really takes pride in her job. She is an incredible asset to our company and a joy to have in our office.